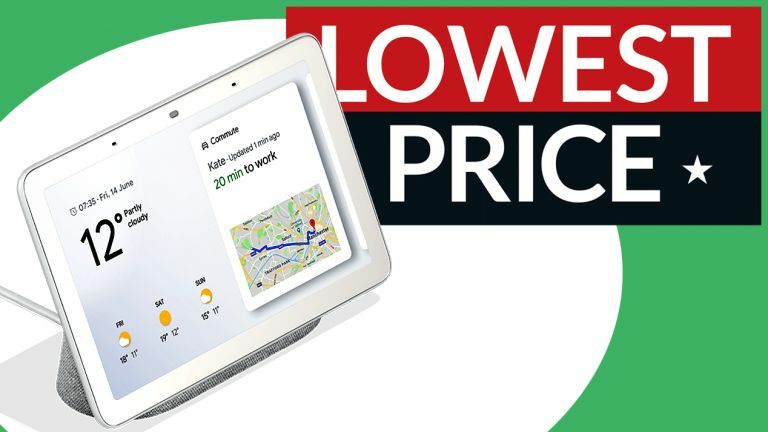 "OK Google, show me an unbelievable Black Friday bargain"
Google has dropped the price of its Google Home Hub to £99 in its latest round of Black Friday deals – a saving of £40 off the price when it launched last month. The generous Black Friday discount comes direct from Google itself – but has been matched by a flurry of high street stores, including John Lewis, Very, AO and Currys PC World. Google Home Hub also comes with a free six month trial of the YouTube Premium subscription service, too. The monthly subscription plan lets you stream tracks, albums, and live recordings à la Spotify, as well as watch YouTube videos without adverts on your new Home Hub. Of course, you're also able to stream YouTube music and video to your smartphone and other devices. The Google Home Hub is the latest addition to the Google Assistant-powered range of devices built by the Mountain View-based search company. It sports a 7-inch LCD touchscreen which can be used to control any smart lights and smart thermostats already installed around your home. Google Home Hub promises integration with more than 5,000 smart home products from some 400 brands at launch. For example, integration with Google-owned Nest products will enable Home Hub owners to ask “Hey Google, Show me the front door camera" to display a live feed. The touchscreen also displays additional information whenever you ask Google Assistant a question. This information is presented with the same Material Design card-like interface seen across the suite of Google products. You can pick up Google Home Hub in four colours – sand, aqua, chalk and charcoal. It's worth noting that Home Hub does not have a front-facing camera, something its main competitor, Amazon Echo Show, boasts as one of its main features. Google says it ditched the camera over privacy concerns, since the Home Hub is designed to live in your kitchen, lounge, and bedroom. But the biggest selling point with the Google Home Hub is its tight integration with Google Photos, indeed this brand-new gadget is closer to the digital photo frames of yore than a modern, AI-powered smart speaker. Home Hub owners are able to ask for photographs from a particular location, or time. When it's not in use, Home Hub will display some choice snaps with transitions and the like.